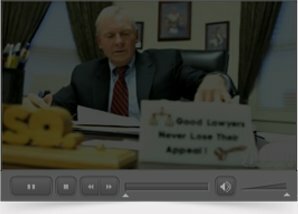 Do I Have to Go to Court to Dispute Denial of My NJ Workers’ Compensation Claim? When your claim for Workers’ Compensation is denied, you have the right to dispute the decision. Disputes are reviewed in a hearing before a judge of compensation within a district office of the New Jersey Department of Labor and Workforce Development. In fact, disputes do not see a real courtroom unless you choose to appeal decisions to the Appellate Division of the Superior Court. File an informal claim. This option is the simplest method of obtaining a decision on your claim. However, all parties must agree to the judicial decision because decisions made by a judge in an informal hearing are not binding. You also need to be aware that the time spent on an informal claim does not extend the two-year statute of limitations on disputes. File a formal claim. You may decide to file a formal claim immediately, or you can choose this option if an informal claim does not yield the results you need. Formal claims must be filed within two years of the date of injury or the date of the last compensation payment, whichever is later, and they involve a more structured process. While the parties may reach agreement during the pretrial process, the actual trial involves presenting your testimony as the injured worker, along with medical and lay witnesses. In formal claims, the decisions of the judge are final and can be changed only through a formal appeals process in Superior Court. Before choosing the most appropriate option for your specific situation, it makes sense to seek advice from an experienced New Jersey Workers’ Compensation attorney. An initial consultation is typically free of charge, and the law mandates limits to the legal fees you pay. In either case, you pay legal fees only if the decision on your claim results in a compensation award.